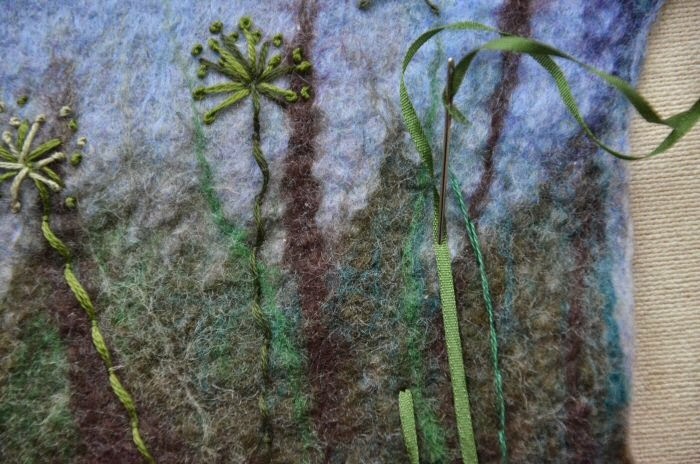 I love the look of ribbon embroidery and the texture and depth of colour the silk ribbons can give to a project. If you’ve not tried it before, consider a super-easy way to introduce some ribbon interest to your next piece of embroidery: the simple straight stitch. 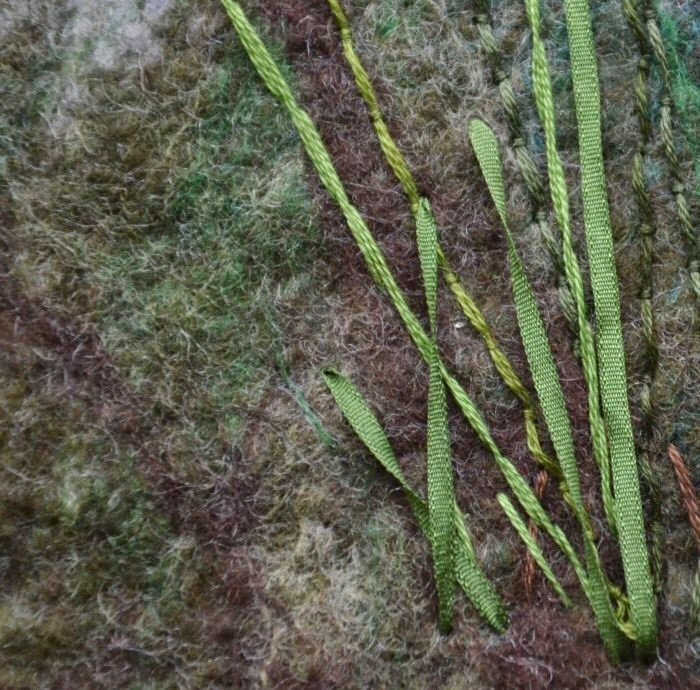 For example, let’s look at a landscape I’m currently stitching. 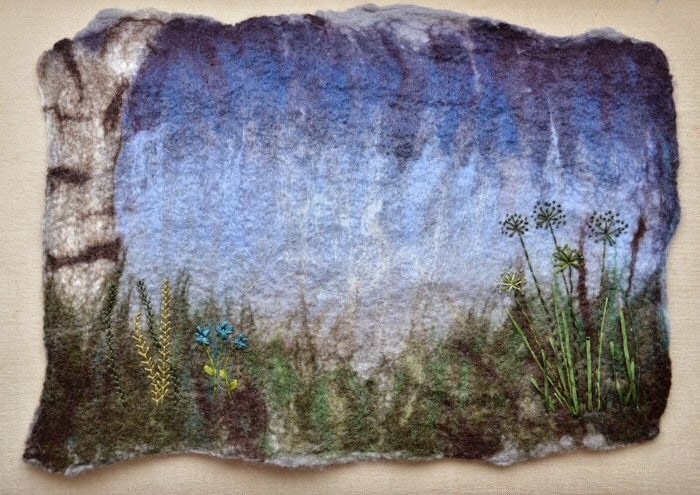 I created the felt landscape at a wet felting workshop, then I began to embellish certain sections with embroidery. 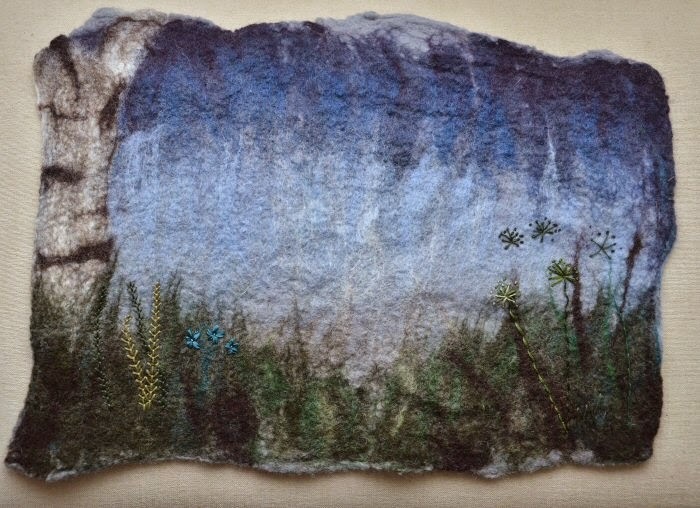 Early stages with pistil stitching, French knots and couching. 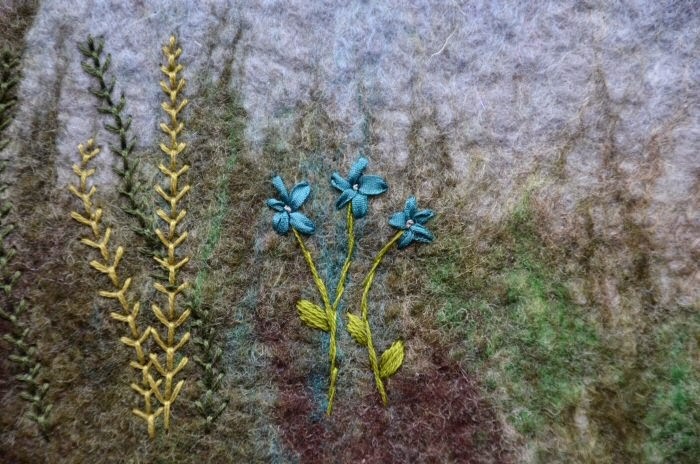 As I build up the various plant life in this corner, I vary the floss colours and the number of strands I’m using for the stems and grasses. 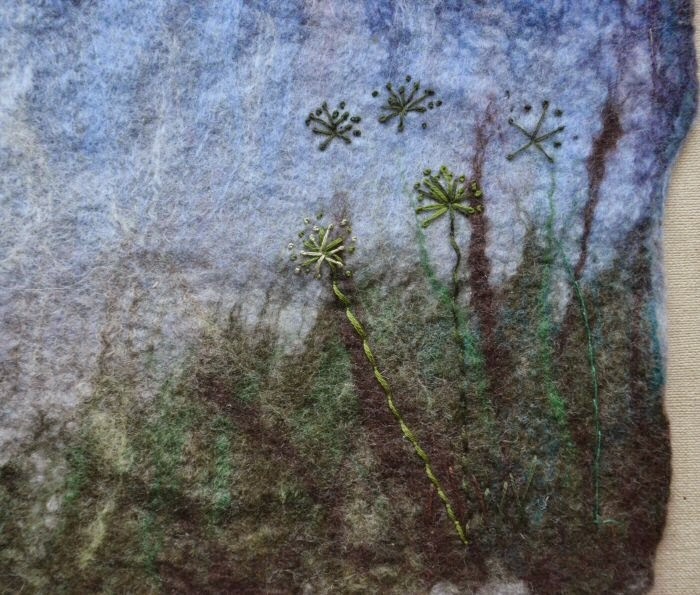 Silk ribbon adds another important dimension to this. For this project I’m using 4mm silk ribbon (which you can find in some haberdasheries or online, for example here or here, or even eBay!). 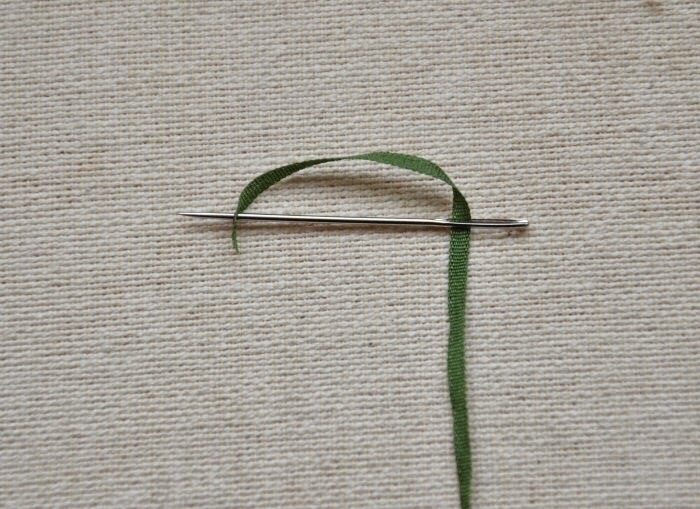 In addition to the ribbon, the only other tool you need to start stitching is a ribbon needle. 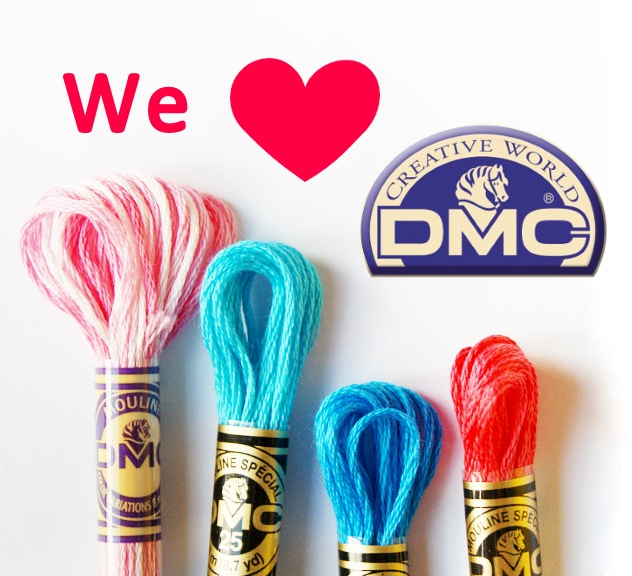 The eye is longer than the standard embroidery needle eye to allow for the width of the ribbon. 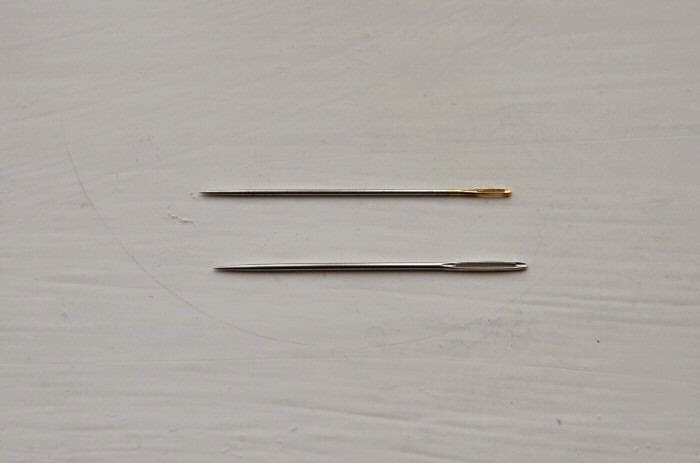 Embroidery needle on top, ribbon needle below. Tie a small knot in the other end, and you’re ready to go! 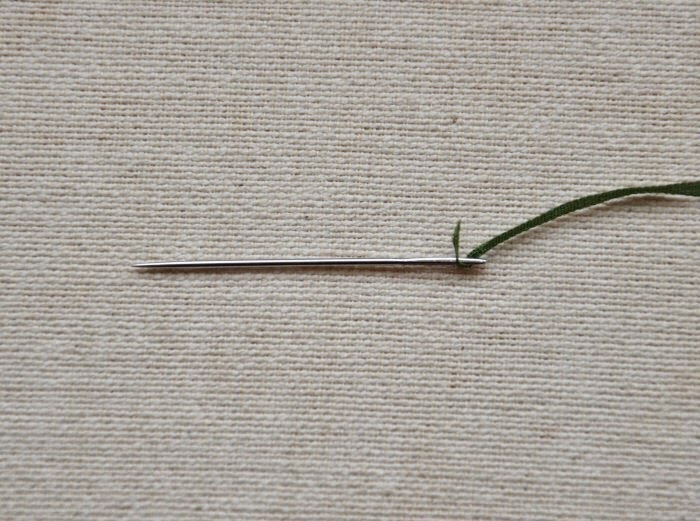 Make a little curl at the top, like a frond unfurling, by bringing the needle back down through the ribbon, pulling carefully to keep the curl from pulling through. And that’s all you need to know to get started with ribbon embroidery! I have tried using satin ribbon rather than silk, but it is much stiffer, and I never managed to actually pull it through the linen I was using. Satin ribbon isn’t as pliable or fine as silk ribbon, but if you are determined to use satin, then I would suggest trying a very loose-textured linen or an aida with large holes to allow the ribbon through. 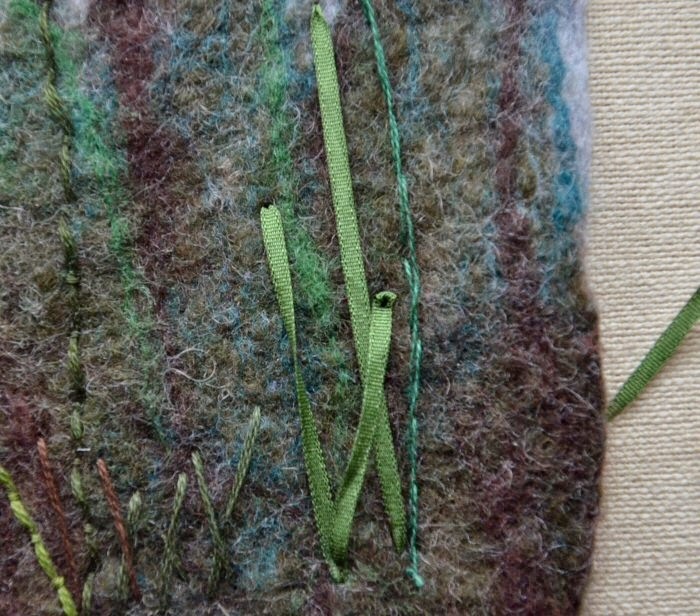 Let us know if you give ribbon embroidery a try and if you’d like to see more ribbon stitches. 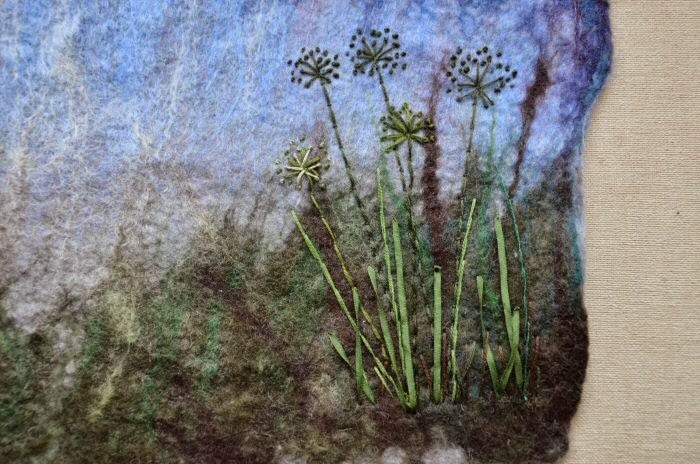 I am experimenting with embroidery combined with felting too. I'll try and see if I can make some pictures.